“For the first six months of 2011, our average realized log price increased $88 per MBF, or 18%, from $483 per MBF in 2010 to $571 per MBF in 2011. 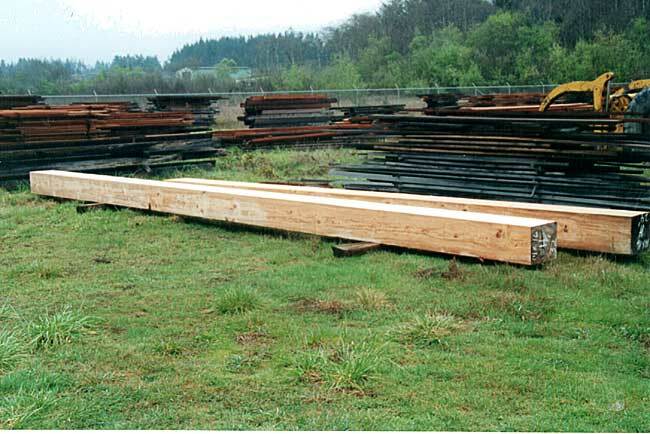 Within this total, Douglas-fir log prices increased $100 per MBF, or 19%, from $515 per MBF in 2010 to $615 per MBF in 2011 and whitewoods increased $93 per MBF, or 21%, from $453 per MBF in 2010 to $546 per MBF in 2011. Across all species, export log prices increased $110 per MBF, or 21%, from $517 per MBF in 2010 to $627 per MBF in 2011. In addition, while there was virtually no spread between export and domestic log market pricing in the first half of 2010, the spread has increased to 12%, or $69 per MBF, export lift in 2011’s first half. “(Pope executed) a 30% increase in our harvest volume, from 14 MMBF in 2010 to 19 MMBF in 2011, amplified by a $65 per MBF, or 13%, lift in average realized log price, which increased from $517 per MBF in 2010 to $582 per MBF in 2011. This entry was posted on September 15, 2011 at 4:41 pm and is filed under Energy and Urbanism. You can follow any responses to this entry through the RSS 2.0 feed. You can leave a response, or trackback from your own site.